Discover the BEST WESTERN Fino Osaka Shinsaibashi in the heart of the second largest city in Japan. Located between two major airports, and close to Shinkansen terminal, it is a gateway city in western Japan and is the center of commerce and entertainment. The hotel is located conveniently in the business and shopping district in Osaka, only minute’s walk to the subway station Nagahoribashi, five minutes to Nanba, and ten minutes to Umeda. It is also within walking distance to Shinsaibashi, a popular shopping and dining area. Historic cities of Kyoto and Nara are just 30 minutes away. BEST WESTERN Fino Osaka Shinsaibashi will make an ideal base camp for both business and pleasure. It is sure to make your stay a memorable one. Centrally located at the heart of Osaka city, center of commerce and entertainment in western Japan. 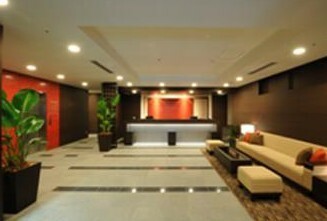 Free Wifi is available at Lobby, Restaurant, and all the guest rooms and it is for free of charge. We believe that it makes you more comfortable and helps your stay more memorable one. BEST WESTERN Hotel Fino Osaka Shinsaibashi has an optimal location. Shinsaibashi is a major center of business, shopping and dining, as well as a crossroad with convenient access to Osaka's numerous historic sites and entertainment areas such as Osaka Castle, Universal Studio Japan, Nanba, Dotonbori and many others. Guest rooms are designed in two different concepts, Urban Black which represents the urban and stylish atmosphere, and Forest Natural with the tenderness and warmth of nature. Amenities such as Air Purifier and functional work desk add to your comfort. We serve a full American style buffet prepared by our experienced chef. BEST WESTERN Hotel Fino Osaka Shinsaibashi makes the best base camp for both business and leisure.